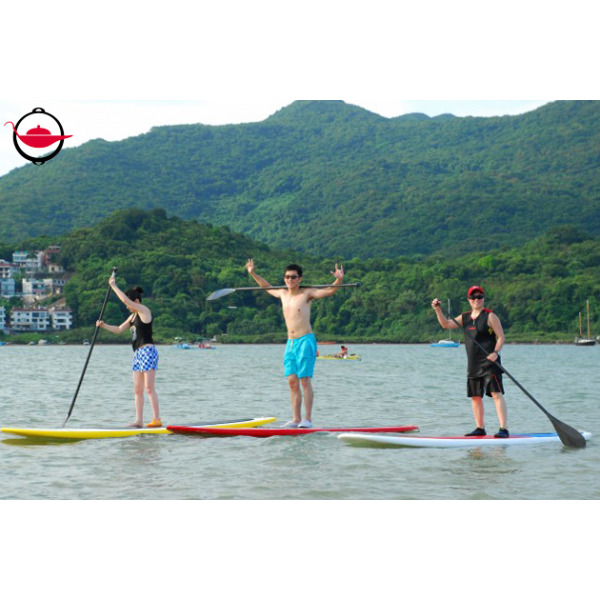 Stand up paddling, also known as SUP, is a whole new way of experiencing Hong Kong’s beautiful waters. Grab a friend and come learn the fundamental basics of SUP! Stand up paddling, also known as SUP, exploded onto the water sports scene just a few years ago. Invented in the ‘60s by surf photographers in Hawaii, who wanted to capture shots closer to the waves, its sudden popularity amongst the masses, young and old, has made it a sport in its own right. Now, people paddle anywhere there is water, from calm lakes to vicious rapids. SUP is as gentle or as extreme as you make it, but everyone starts the same way – and that’s learning how to stand up on that board! In this 2-hour experience, you will learn that fundamental SUP skill and more! 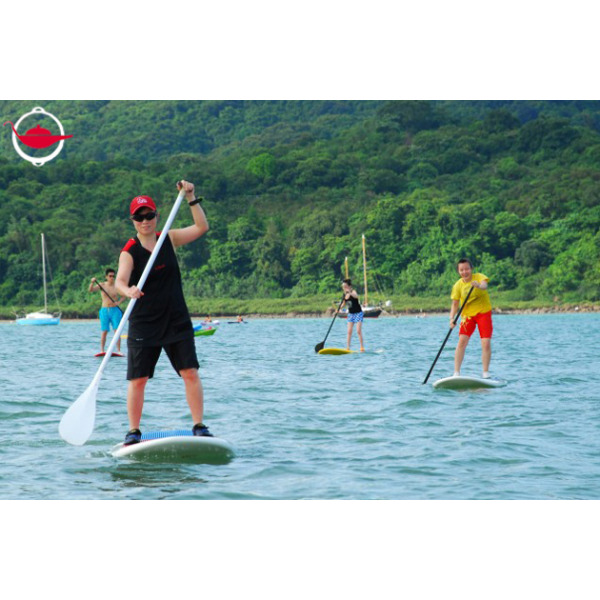 Your instructor will teach you how to kneel and get up into a stand-up position, how to paddle and maneuver forward and backward, and most importantly, how to fall safely. 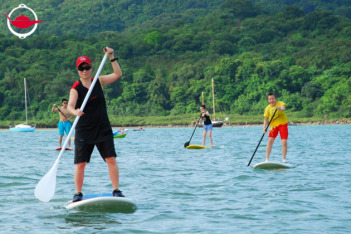 Once you start feeling steadier on your feet, your instructor will lead you further out to explore the Sai Kung coastline. You’ll feel the quiet joy of gliding through open water on your paddle board, fully immersed in the nature that surrounds you. After completing this course, you will be certified to rent a paddle board and head out on your own! Grab a friend and come discover this whole new way of experiencing Hong Kong’s beautiful waters! This experience voucher is valid for 2 people in a group booking. Please note this experience requires a minimum of four participants to go ahead. If there are insufficient numbers on your chosen date, the experience will be rescheduled. Each group will consist of a maximum of 12 people. This experience lasts for 2 hours. Bookings can be made on Saturdays and are subject to availability. Bookings must be made at least 7 days in advance. This experience is suitable for participants ages 8 and above. Participants must be able to swim at least 50 meters. You are suggested to wear water shoes, a swimsuit and bring sunglasses, sunscreen, insect repellent and a hat. It is recommended that participants are dressed upon arrival, so the experience may begin promptly. This experience includes rental of two SUP paddle boards, two paddles and instruction from a certified International Surfing Association (ISA) SUP coach. 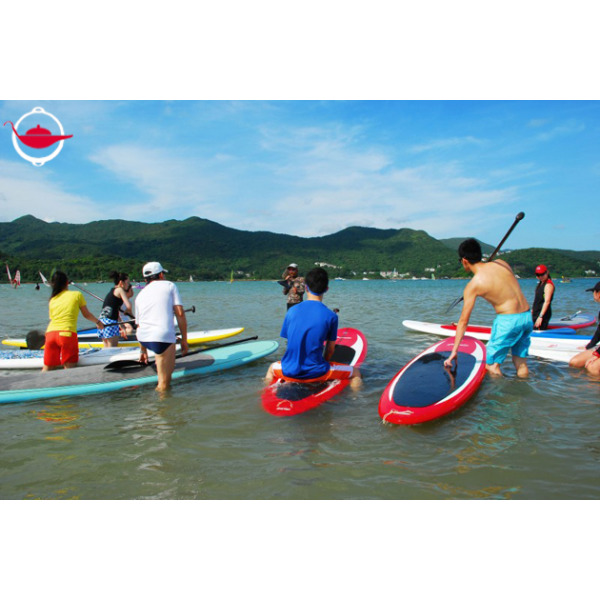 Participants who successfully complete the course will be issued a certificate allowing them to rent an SUP board to use on their own. Please note that participants must sign a Consent and Indemnity Form upon arrival. The centre has basic facilities, such as lockers and changing rooms. Public toilets and shower facilities are available at the sports ground, less than a 5 minute walk away. Remember to bring a small lock for the lockers. We had a Great Time. Edmund was fabulous and so friendly and made the class a lot of fun. The weather was perfect and the entire group seemed to have fun. Will do it again. My sister bot me this for my 50th Birthday and I am glad she did now we have a fun outdoor activity to do. 5 stars. A great gift! This was my second time trying SUP and it was much more successful this time having Bryan as our instructor. He was very patient and explained step by step all the body movements, balance and how to paddle. Once we got the hang of it, it was amazing to look up, chill and enjoy the beautiful view of Sai Kung! Bryan told us once you get better you can even paddle out to an island to enjoy lunch and drinks on the beach, or in Hawaii, SUP is even used to surf the waves! Very nice sport. I was surprised by how quickly I picked it up! Once I got used to the waves, it really was so relaxing.